Back in June we reported that Han Chae Young was wrapping up her filming activities in Korea to head on over to America and attend some meetings for oversea activities. Well, it looks like the actress got exactly as she wished and was recently signed with popular Hollywood agency CAA (Creative Artists Agency) that has some major celebrities linked including David Beckham, Brad Pitt, Tom Hanks, Nicholas Cage, Julia Roberts, and more. BH Entertainment stated that Han Chae Young would be very successful working overseas, especially because of her good looks and excellent fluency in English. Millie’s Comments: I think this is a good move for her. With this agency, who knows? She might be the next Lucy Liu. 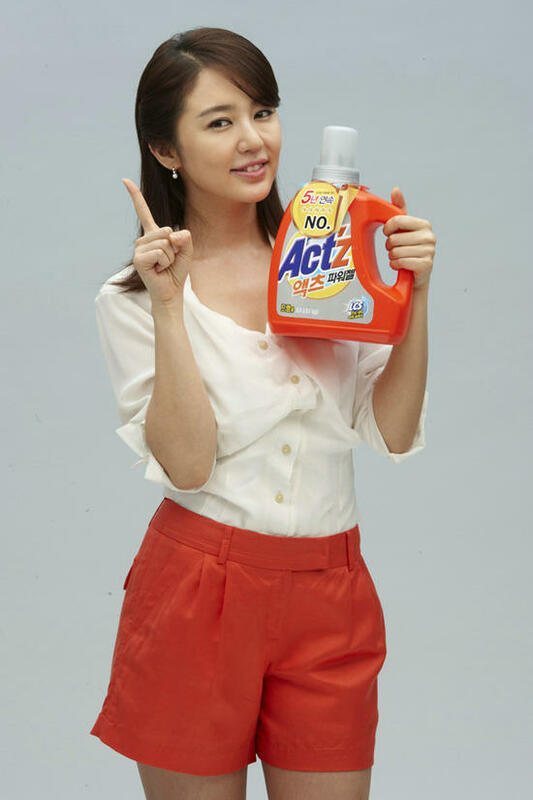 Beautiful actress, and former Baby V.O.X member, Yoon Eun Hye recently inked an endorsement deal with the Korean Pigeon Corporation to endorse their Actz Laundry Detergent product. The CF also features an adorable baby biting everything it can get its hands on, but no need to worry because Actz arrives to save the day. Check out the adorable CF below! Millie’s Comments: She’s really too cute for words.